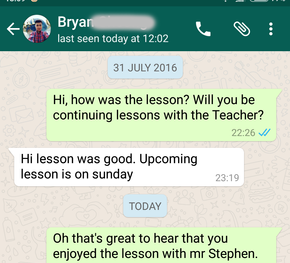 - Feedback from Trev on our great service. 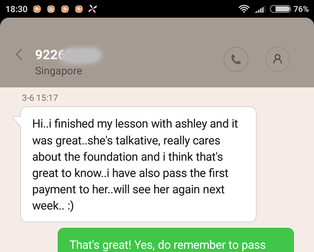 "I think what is good about this agency is that they do not charge an admin fee. 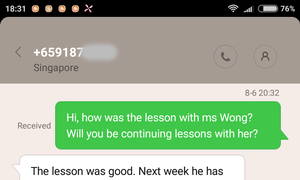 Also, I just need to pay the teacher for the lessons, it is fuss-free and not so troublesome. 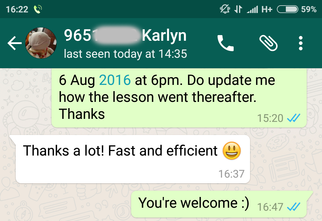 The teacher they recommended was reliable and the agency found a teacher for me within 24 hours. 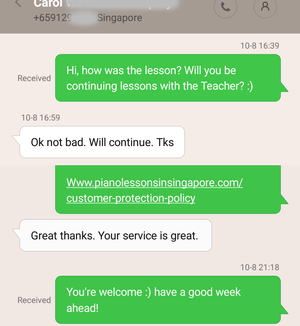 So I feel their service is good! 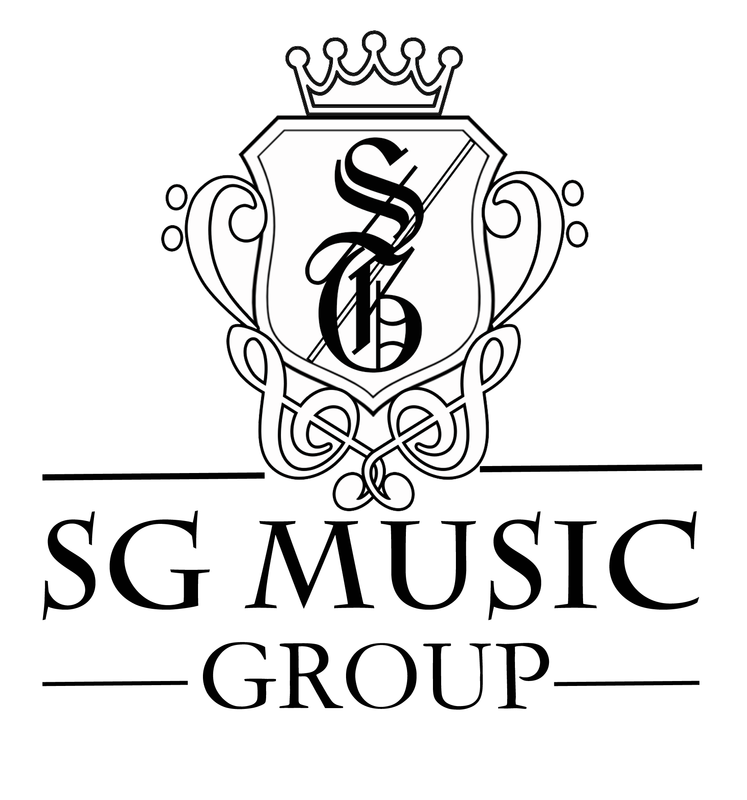 "I found out about SG Piano Music Agency via the internet and am pleased with the service I have gotten from them. 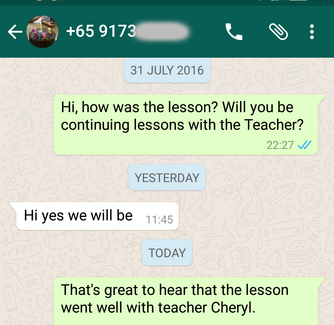 The person from the agency whom I liaised with was very helpful in finding me a suitable teacher for my child. 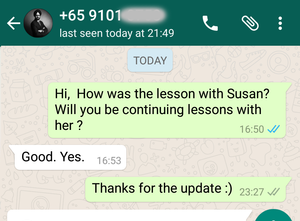 Thank you very much and I will definitely recommend you to my other friends who are looking for piano teachers." "I have always wanted to learn the piano since I was a child but didn't have the chance to do so. 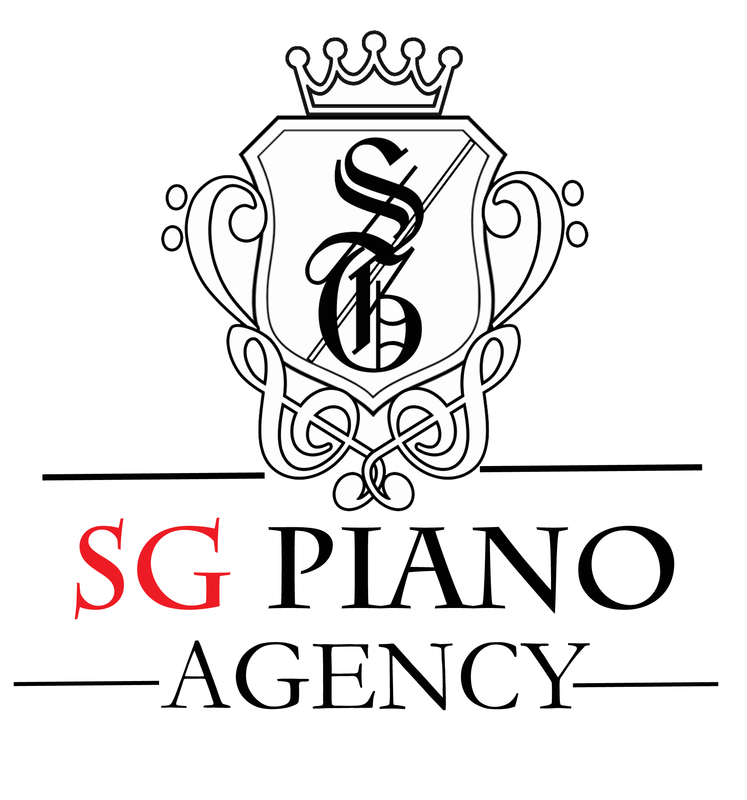 So now that I'm married and my children are all working, I decided to get a piano and looked for a piano teacher via SG Piano Music Agency. 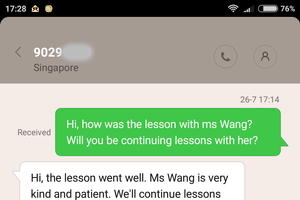 The agency shortlisted some teachers for me to choose from and I have been taught by Ms Ng for the past 2 years. I am happy that finally I can play the instrument I always wanted to learn since I was young. 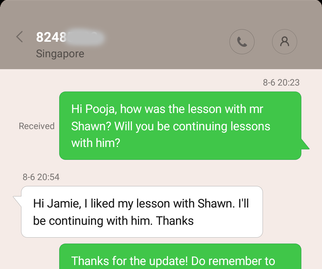 Thank you to Jamie and the agency for your help!"